I had my first encounter with a “glow-in-the-dark” species when I was a child. My parents and I were visiting relatives in St. Catharines, Ontario, and we were in their backyard enjoying the warm, summer evening. In the distance, I noticed tiny, flashing yellow lights floating in mid-air. Curious, I quickly walked toward them to get a closer look. What I thought were lights were actually insects — fireflies. I had no idea that insects, let alone other animals, could light themselves up. Shortly after this encounter, my parents bought me a book called Creatures That Glow. I learned that many other species besides fireflies could also light up, including other insects, fish, worms, jellyfish, comb jellies, crustaceans, sea stars, fungi and algae. Light emitted by organisms through chemical reactions that happen within them is called “bioluminescence,” and light-emitting species are termed “bioluminescent.” Most chemical reactions resulting in bioluminescence require two different chemicals: luciferin and luciferase. Luciferin reacts with oxygen to produce light, while luciferase, an enzyme, interacts with luciferin to speed up the reaction. 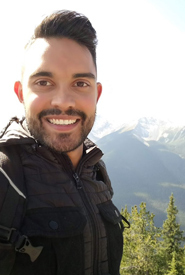 In some species, luciferin binds with oxygen to produce a “photoprotein,” which lights up as soon as an electrically charged atom or molecule, usually calcium, is present in the organism’s light-producing cells. Generally, bioluminescent organisms already have the chemicals needed for the light-producing chemical reaction to take place, but some species obtain these chemicals by eating other species that already have them. For example, the midshipman fish gets these chemicals by eating a particular shrimp species. Most bioluminescent species live in the ocean. In fact, more than 90 per cent of species that live in the deep sea, where little sunlight reaches, are bioluminescent. What does bioluminescence look like? How bioluminescence appears differs depending on the habitat and species. Most marine bioluminescence, for example, looks blue-green because these colours are more easily seen in the deep ocean, and most marine species are sensitive only to these colours (i.e., they cannot process yellow, red or violet). 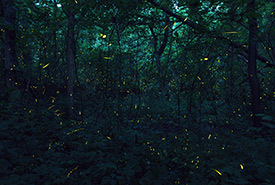 While most land-dwelling bioluminescent species also produce blue-green bioluminescence, many, such as fireflies, glow yellow. Most bioluminescent species also express their light as short flashes, with each flash lasting between one and 10 seconds. Some species, however, produce a consistent glow, such as some fungi found in rotting wood. Honey fungus, a species found in Canada, glows constantly. 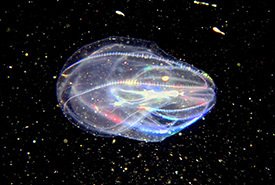 Some species use bioluminescence to find or lure prey. 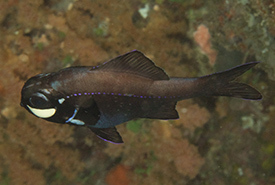 The flashlight fish, for instance, uses light produced by bacteria living in organs under its eyes to light up its surroundings so that it can see prey better. The deep sea anglerfish, on the other hand, lights up so that prey can find it. This fearsome-looking predator has a long, thin growth on its head called a “filament,” which ends in a ball, called an “esca,” in front of its mouth. This esca lights up to lure curious critters into its gaping jaws. 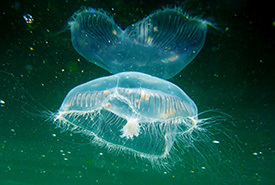 Bioluminescence is also used to ward off predators. For example, the vampire squid shoots out bioluminescent liquid rather than ink to scare, confuse or slow down predators, allowing it to get away. The brittle star, a type of sea star, can detach its glowing arms, which predators then pursue while it escapes. Fortunately, brittle stars can grow their arms back. 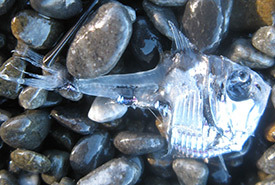 Other species, like the marine hatchet fish, camouflage themselves through counterillumination. They alter the light emitted from light-producing organs on their undersides so that it matches the sunlight or moonlight above it. This makes them practically invisible to predators lurking below. Some species use bioluminescence for attracting mates. 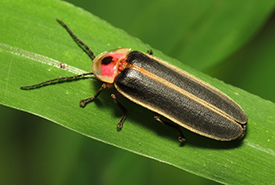 Adult male fireflies, for instance, produce different flashing patterns to let females know what species they are and that they want to mate. To me, bioluminescence seems like science fiction. Witnessing this fascinating phenomenon in action all those years ago was an illuminating experience, and I hope to see more glow-in-the-dark species in my lifetime.